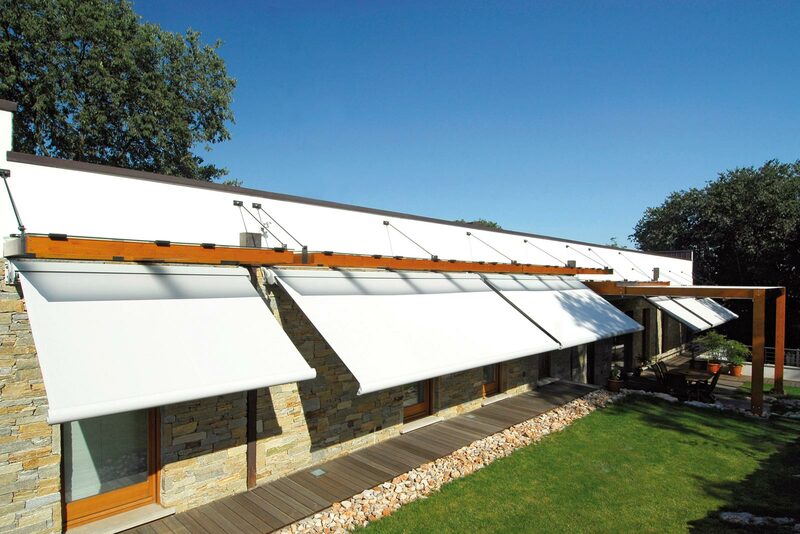 Extensible awning with exceptional wind resistance and wide depth. Aluminium lacquered according to Qualicoat quality rules. A unique and patented device, Flexcontrol uses a special elastic bearing (elastomer), positioned in the arm supporting bracket which compresses and decompresses absorbing wind pressure. 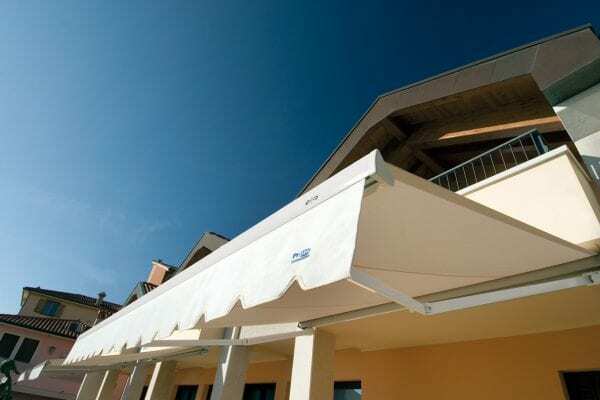 The structure and the front of the T-Hide arm awning are rationalized in a single box that contains the technical components and arm awning that can reach 700 cm in width and 400cm in depth. An elegant solution made even more suggestive by integrated LED lighting. 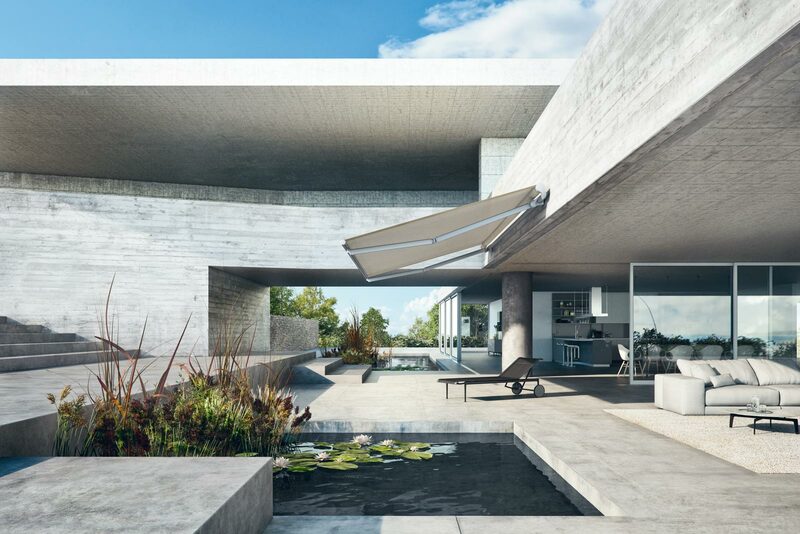 T-Way can reach up to 590 centimetres in width and 350 in depth, a feature that together with the possibility of installation on the ceiling and wall, makes it a highly versatile solution, even in the evening with LED lighting. 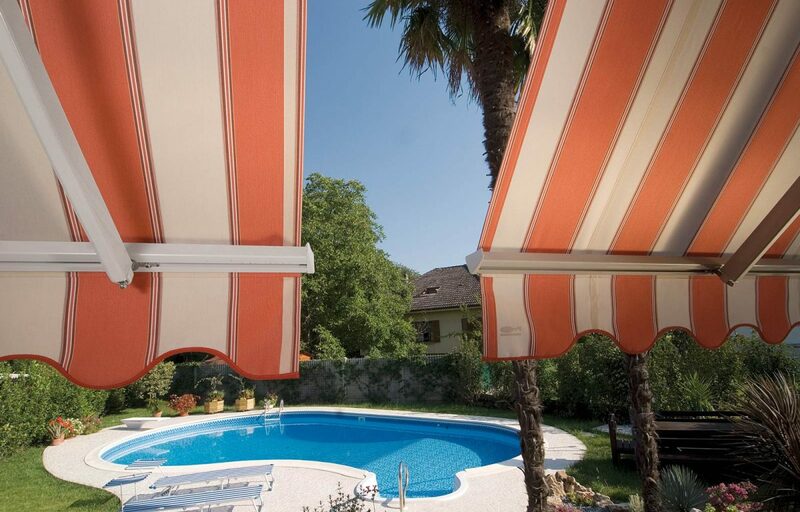 Ellisse is the extendable sun awning with an elliptical, original and modern shape. The fully closing box encloses the entire awning structure into a single compact element with a discreet and elegant design.